Property Terms Long or short term lease. Quarterly payment. This industrial space is 1800 square meter. Monthly rent is Bahraini Dinar 2.800 per sqr/Meter. Featuring for a production centre or an industrial workshop or large storage this factory space has high power with a capacity of 400 Kilowatt. In addition there have option for upgrading the power to more level. Similarly the height of this factory is an approximate of 10 to 11 meters. Total 2200 Sqr/Meter which is including the building. The rent of this commercial property is Bahrain Dinar 5040 per month. King Hamad Highway, Southern Governorate, Bahrain. This factory is near ALBA factory. Property type: Industrial Property. 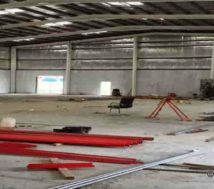 Certainly this Industrial shed is much suitable for Heavy Industries or Plastic Industries or Chemical Industries or other hazardous industries. 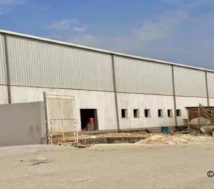 Although this property is part of the government industrial estate, the landlord will provide the Commercial Registration for any Industry along with the lease agreement for the factory. Furthermore There have heavy vehicle access with parking area. This factory building is close to the highways. Moreover, there have only 15 to 20 minutes drive to Saudi Causeway and Seaport. Nearest locations are Askar, Ras Zuwayed, Aluminum Bahrain Factory, Bahrain Petroleum Company and Awali Golf Club. Properties like this: Ras Zuwayed.